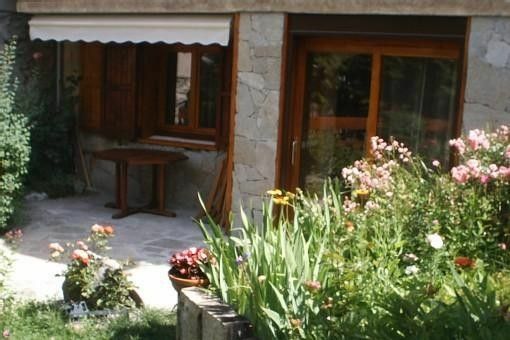 Studio on the ground floor of a chalet located 200 m from the slopes, sleeps 4, fully equipped. This comfortable independent studio is located on the ground floor of a chalet in the heart of the resort of Chantemerle, at 1350 m altitude. Covering an area of 27 m², this studio has 4 beds for 4 people. Located 50 m from the shops and only 200 m from the ski lifts, this studio benefits from a terrace facing south, ideal to appreciate the view that offers the massif. The studio is equipped with all necessary household appliances: a wall-mounted hair dryer in the bathroom, a vacuum cleaner, a washing machine, a board and an iron. A ski locker is also available. Note that our pets are not allowed in the studio. Located in the heart of Chantemerle ski resort, 5 km from Briançon, the studio is ideally located within 200 m from the ski lifts. Shops are just steps from the studio. Leaving the station has a casino, a bowling alley or a disco club.